Today’s political minds assure us that the more connected societies are the less danger they pose to global stability-but is this a new idea or one that is as old as history itself? 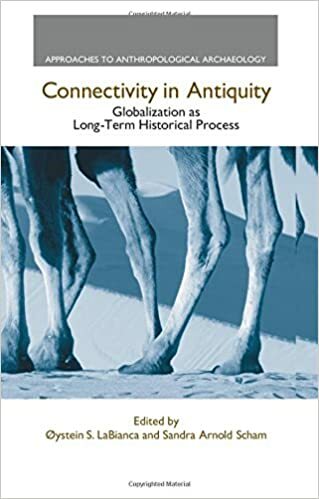 Trade networks that began as far back as human prehistory were responsible for exchanges of ideas as well as goods and the ripple effects of these networks were the expansionist compulsions of historical States and empires. This is the end report of the Global Moments’ project summarising all the research components. 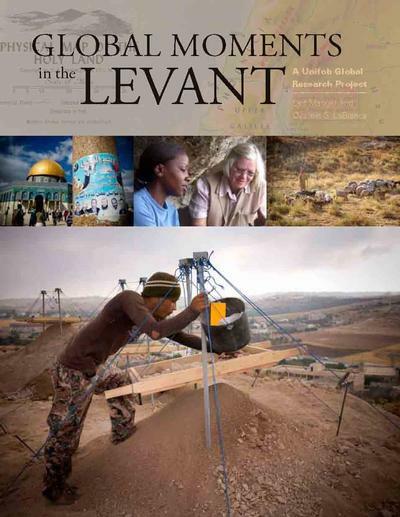 It is edited by Leif Manger and Øystein LaBianca, with individual contributions from all the researchers.The Global Moments in the Levant research programme seeks to delineate what the salient theoretical and methodological implications are of the fundamental methodological assumption that the insights derived from historical and archaeological study of the past are relevant for understanding the present situation in the region and that, in turn, the findings of ethnographic studies carried out in the present have relevance not only for today, but also for understanding the past. 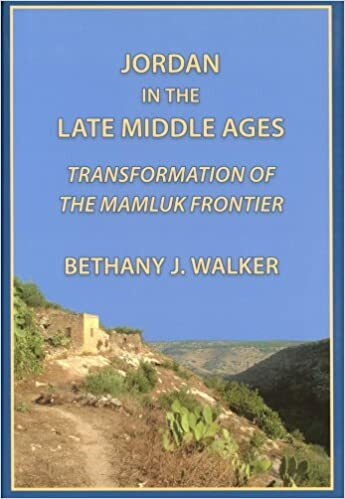 Walker’s book explores the transformation of the Mamluk state during the late 14th centeury from the perspective of Jordan. She examines the effect that the decline of the Mamluk Sultanate at Cairo had on the entire region, including the local people at around Hisban. The book is part of the series Chicago Studies on the Middle East and is published on behalf of the Center for Middle Eastern Studies by the Middle East Documentation Center at the University of Chicago.Bethany Walker is Associate Professor of Middle Eastern History at Missouri State University. She has published widely on Mamluk and Ottoman socio-economic history and material culture in primarily American and French journals. A historian and archaeologist, she directs two archaeological projects in Jordan and for the last twenty years has been doing fieldwork at sites throughout the eastern Mediterranean. Using examples from ancient Transjordan for showing the basics of form-based typological pottery analysis, Ancient Pottery discusses and illustrates the parts of a vessel and objectively defines basic morphological nomenclature. It details how to describe a vessel and “read” pottery drawings, and the differences between open and closed forms. Perhaps its most original contribution is the “form-based paradigm” for identifying particular pottery forms. 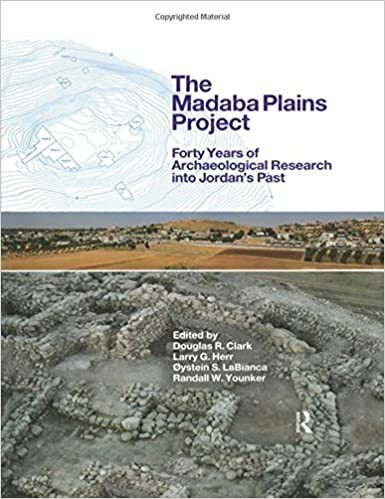 Included is an introduction to the cultural and historical context of each archaeological period in Transjordan which serves as a preface to a detailed presentation of the pottery characterizing each period, including over 450 pottery examples from 55 sites representing 23 archaeological periods. Dabrowski, B., Dubis, E., Kapica, M., Krug, H. P., & LaBianca, O. S. (1996). “Funerary Sites in the Vicinity of Tell El-‘Umeiri.” In J. Sliwa (Ed. ), Studies in Ancient Art and Civilization. Krakow: Jagiellonian University. Jacobsen, F. F. & McNeish, J. (2006). From where life flows: The local knowledge and politics of water in the Andes. Trondheim: Tapir Academic Press. LaBianca, O.S. (1995). “The Kingdoms of Ammon, Moab, and Edom: The Archaeology of Society in Late Bronze/Iron Age Transjordan (ca. 1400-500 BCE).” In T. E. Levy (Ed. ), The Archaeology of Society in the Holy Land (pp. 399-415). London: Leicester University Press. Laparidou, Sofia and Arlene M. Rosen. (2015). Intensification of Production in Medieval Islamic Jordan and its Ecological Impact: Towns of the Anthropocene. The Holocene 25 (10): 1685–1697. Knauf, E.A. (1990). “Hesbon, Sihons Stadt.” Zeitschrift des Deutschen Palästina-Vereins (1953-), 106: 135-144. Schmitt, H. “Das Hesbonlied Num. 21, 27aßb–30 und die Geschichte der Stadt Hesbon,” in Zeitschrift des Deutschen Palästina-Vereins (1953-) 104: 26-43.